Hack, 31, has gotten used to being the youngest in the room. He started as an intern in Senate Majority Leader Bill Frist’s office and rose to be Fischer’s chief in just nine years. Listening was his secret weapon. “I participate in the Senate leadership staff meetings, so these guys — mostly women to be honest — are very well seasoned, very well respected, absolute pros. When I participated in these initially, I just listened,” he said. 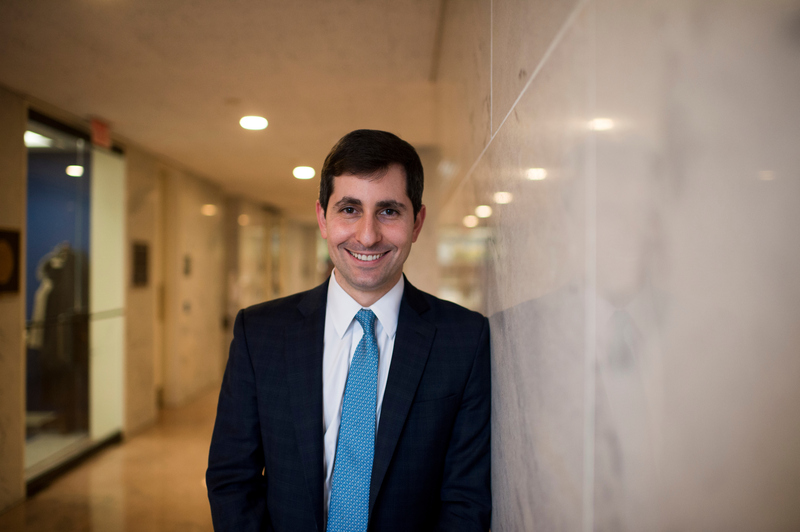 When Matt Klapper, 35, became chief of staff for Democratic Sen. Cory Booker of New Jersey four years ago, the lessons came thick and fast. “Having little to do with my age, and more to do with being relatively new to the Hill, I had a steep learning curve when I became chief of staff — if anything, people were eager to lend a hand and help show me the ropes,” he said. And sometimes people do a double-take when a millennial walks in the room. Hack has noticed that when meeting with outside groups. “I’ve seen a look of surprise on many faces when I’ve introduced myself,” he said. But Rivard is quick to point out that learning is a two-way street. Millennials “bring a ton of new and fresh ideas and ways to think about things,” he said, offering social media as an example. Traditions on the Hill can be slow to change, and not everyone sees that as a bad thing. “I feel like it’s kind of a rite of passage that as you get older, you at least initially discount what the youngster says to you. When I was in the district, oftentimes I would be the youngest person in the room by 15 to 20 years. That made me study up more on what I was doing,” said Chris Carter, who works for GOP Rep. Richard Hudson of North Carolina. Carter, now 31, became Hudson’s district director at 25 and chief of staff at 29. “When you get constituents who come up to D.C. to lobby … I do think it’s a little surprising to them when they come in and are talking about a very important issue and they’re sitting across from a 20-something who’s in a senior role in an office,” he said. Things can get even tricker when you oversee staffers who are older than you. That happened to Hack, who found himself managing an experienced legislative director who had been on the Hill for decades. He leaned into the dynamic and learned from it. “A little humility can go a long way,” he said. Between laziness, entitlement, narcissism, and avocado toast, millennials get a bad rap. Busting those stereotypes is part of the job, several young chiefs said. Passion shouldn’t be a dirty word, said John McCarthy, 27, who runs the office of Democratic Rep. Brendan F. Boyle of Pennsylvania. “If you sell it as: I’m really passionate about my work, I believe in our overall mission and I’m just going to constantly find ways to add value … I think if you lead with that attitude, which isn’t always the millennial attitude, but if you lead with that, it will allow you to move up quickly,” he said. Critics say the staff on Capitol Hill skews young because of low pay, a relentless schedule and so-so benefits that drive out workers who want kids or to save for retirement. Low-level aides, such as staff assistants, make roughly $30,000 a year. But for chiefs, the pay can be rewarding and the goals even more so. Others echoed the advice to keep your head down and let your work speak for itself. That’s what Caroline Cash, 29, chief of staff for Rep. James R. Comer, did. She came right from the district where she was the Kentucky Republican’s campaign manager. “At first, when I was new to the Hill, I was super intimidated. But fortunately, I’ve had a lot of great people offer mentorship,” she said.